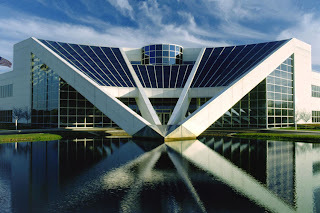 1998 and renamed Nissan Technical Center North America, Inc. (NTCNA) in 2000 and currently serves as the main campus of Nissan Motor Company's Research and Development (R&D) arm in North America. Today, the facility houses production engineering, research and testing, purchasing, quality and administration and employs more than 1,200 people in Metro Detroit. "Our dedicated workforce in the United States remains committed to engineering high-quality vehicles for our ever- increasing consumer base," said Carla Bailo, Senior Vice-President, Research & Development - Nissan Americas. "With that sentiment in mind, we are excited to add more engineers to our NTCNA family this year in a continued attempt to engineer vehicles that meet the expectations of Nissan owners." In celebration of this milestone, the company hosted an employee-only event at the NTCNA. The celebration included a casual outdoor barbecue, games and the full Nissan product line-up on display. Additionally, both Nissan and Farmington Hills representatives, including Farmington Hills Mayor Barry Brickner, were on hand for speeches as they commemorated 25 years in Michigan. Representing a $230-million overall investment, NTCNA underwent a 90,000 sq ft, $38.8-million expansion in 2002 to enhance the company's global vehicle development capabilities. The expansion included a new three-story engineering building, a new building for testing operations and the addition of 260 jobs.